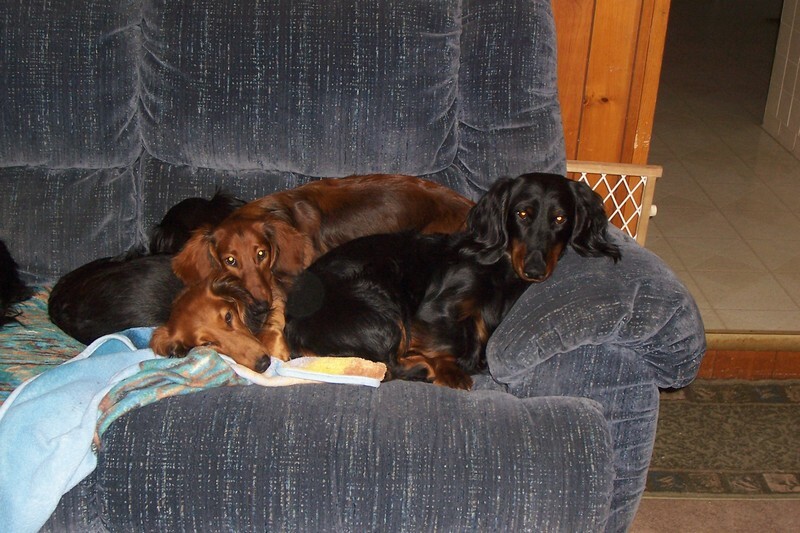 I am a breeder of standard long hair dachshunds in Western New York near Buffalo. I am an active member of the Dachshund Club of Greater Buffalo and have been the secretary for several years and adhere to their Code of Ethics. I fell in love with the breed at a very young age and my very first dachshund was a smooth. However, approximately 28 years ago I brought into my life a standard long hair dachshund from a breeder in Canada and she changed my life forever. Since then, I’ve had nothing but the long-hair dachshund and have been showing them and having the time of my life. I show my dachshunds both in the United States and Canada. Therefore, I have met quite a few people along the way, many of whom have since become very good friends. I strive to breed dachshunds that have a good temperament and structure as well as excellent health. I am proud to say that from some of my litters there have been some conformation champions, some field champions and even some that are going on to deer coursing. All my dachshunds live in my home and are a part of my family, and I wouldn’t have it any other way.